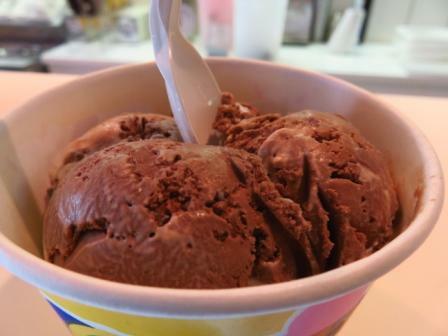 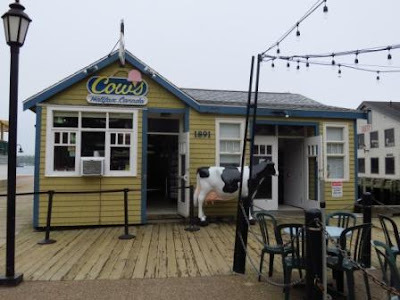 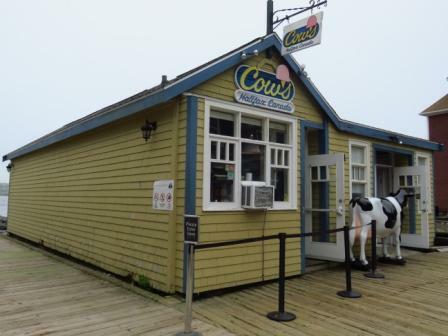 I had an ice cream today at Cows (on Lower Water Street). 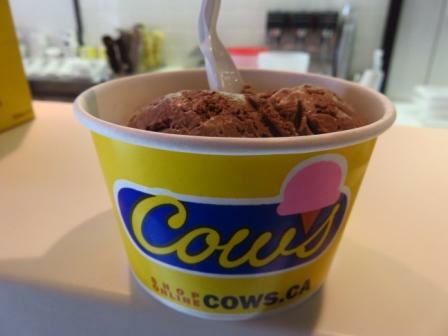 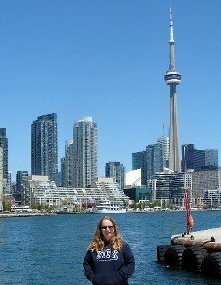 We don't have Cows in Toronto so I usually pop into one when I come across it (the closest one to Toronto is about two hours away in Niagara-on-the-Lake). 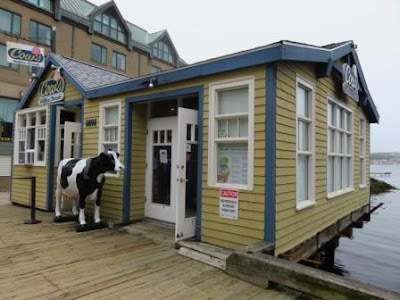 This one is right on the waterfront. 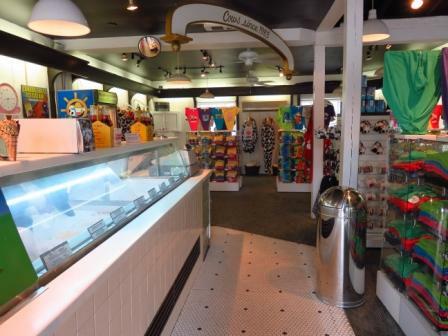 In addition to ice cream, they also sell teeshirts (I've bought a few over the years), pajamas, etc. with their Cow theme. 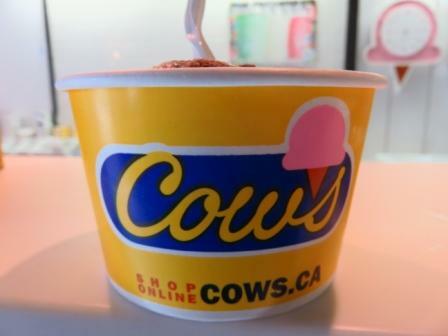 I got a double scoop of Fluff 'n Udder in a cup. Yum! Thanks, Megan! 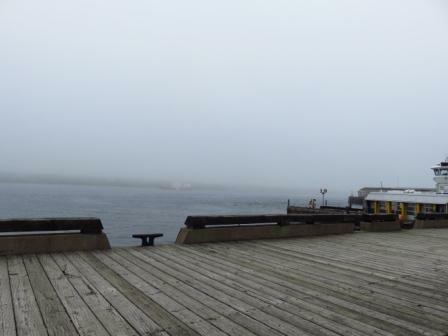 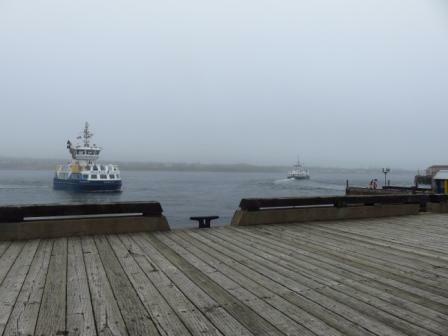 Then I found a spot to sit on the boardwalk and ate it while I watched the fog and the ferries.